The research follows the concept of variable geometry. The concept was originally introduced for general mechanical system in order to improve its dynamic behaviour . Here, we apply the concept to robots. It can be shown that enhancement of robot dynamic performances is achieved. In this paper variation of geometry is considered equally as the motion in robot joints. Thus, a new set of degrees of freedom is introduced. This leads to redundancy – different internal motions are possible for the given external motion of the end-effector. However, there is an important difference from the usual notion of redundancy. Here, the additional joints do not influence the external motion and accordingly cannot improve the end-effector ability for maneuvering. For this reason the new notion is defined the internal redundancy. Although variation of geometry is treated equally with the motion in robot joints, there is still a difference in the aim of these new degrees of freedom. They should contribute to overcoming the limits of robot actuators, achieving better static compensation, etc. One might say that internal redundancy improves the robot dynamic capabilities. 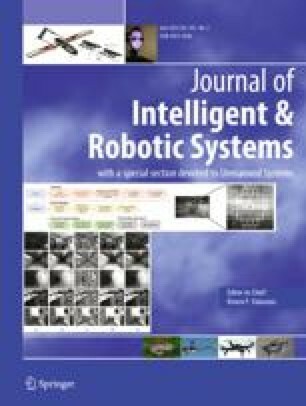 In this paper the mathematical formulation of kinematics and dynamics of robots with internal redundancy is carried out. A case study is presented in order to support the main idea.